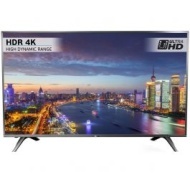 alaTest has collected and analyzed 15 reviews of Hisense 49N5700. The average rating for this product is 4.7/5, compared to an average rating of 4.6/5 for other products in the same category for all reviews. Reviewers really like the glare and price. The usability and image quality are also mentioned favorably. We analyzed user and expert ratings, product age and more factors. Compared to other products in the same category the Hisense 49N5700 is awarded an overall alaScore™ of 89/100 = Very good quality. My last TV was a Sony and very complicated in changing stations from Freesat to Now TV and recorder. HiSense has one button to move from station to station brilliant. Really pleased with our recent purchase not had this brand before, but so pleased we chose it has all the features we need and sound is perfect no need for a sound bar either. Very happy with TV . The only problem I have with this is I can't program the virgin TiVo remote to operate the TV . Have entered all the codes and still not working . Had the tv 2 weeks now and bought for my sons xbox one x, stunning 4k picture and great sound. Couldn't recommend this more and a great price with free delivery 3 days later! Looks like a major brand tv. Delivery was as good as promised. Picture quality is good, hd even better. Sound is good but used sound bar.Set up was easy,software straight forward. What's not to like! Great TV at a great price. Great tv, very good price and 6year guarantee !! !